Sour Peach Hearts by Park lane are another one of my all time top 10 lollies. The Hearts have half pink and half yellow colouring with a sour sugar coating. 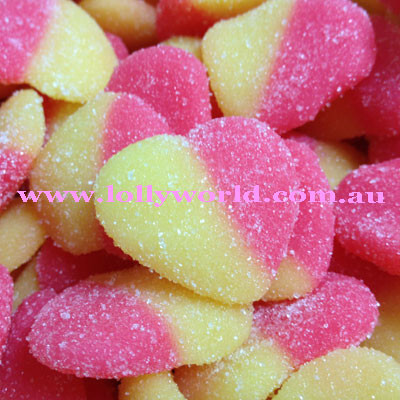 They have a peach flavour to them also each heart is approx 3cm wide and 2.5cm long.